Learn how scrappy quilt bindings can add a unique finishing touch to any quilted project! Quilting expert Nancy McNally will teach you everything you need to know to master the process of choosing fabrics, creating bindings and joining your bindings for a professional finish, as well as the ins and outs of using decorative stitches to successfully complete your scrappy binding! 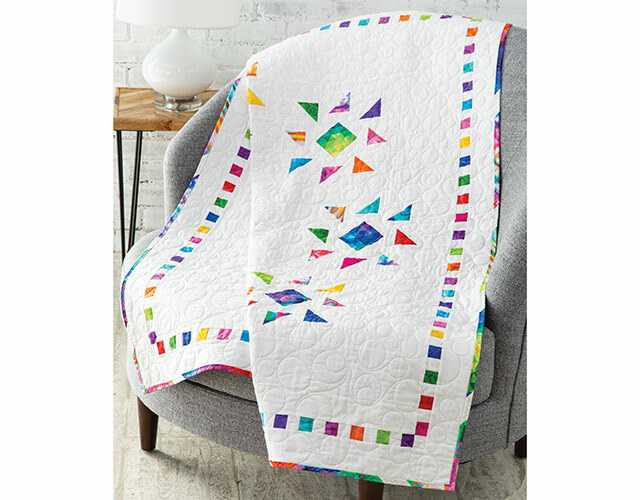 Class includes complete step-by-step instructions for the Chesaning Square Dance Lap Quilt. Enjoyed the class. Clear, patient instructions. Great tips. Will be improving my own bindings with these methods. Love the colorful examples. Excellent class. Filled with wonderful tips,easy to follow along. Great class. Learned a lot. This is a great presentation. Wonderful tutorial for bindings and different ideas that can make all your projects have different looks. Thanks for this class.